There’s nothing like coming home to a house that is freshly cleaned from top to bottom. Your counter tops are shiny, the floors are sparking, shelves are free from dust and grime, and you can breathe a sigh of relief. You could accomplish other things on your list rather than cleaning your home for three or four hours. Or you can kick up your feet and relax in the comfort of your own freshly cleaned home. When it comes to finding a San Francisco house cleaning company that can meet your needs, most people don’t know where to begin. After all, one wants to know that their home is safe from health risks and that your cleaning needs have been met by high customer satisfaction and quality. There are many house cleaning companies to choose from in San Francisco that serve the major neighborhoods such as Sunset District, Richmond District, Mission District, Tenderloin, Bernal Heights, Excelsior, Pacific Heights, Nob Hill, North Beach, and Bayview District. So how do you choose the house cleaning company that’s right for you and your home? Research and good information are the keys to success. Making an informed decision will save you time, worry and hassle. So how do you begin your search? verification. But if you’re unable to choose a Diamond Certified house cleaning company in your area of San Francisco, you’ll have to do the research yourself. Not all house cleaning services are the same. They have different methods, various experience and differing personal philosophies about house cleaning. In any case, it’s your right to choose a qualified, honest house cleaning company in San Francisco that will clean your home as you want it cleaned the first time and continue providing quality service over the long-term. Before you start searching for a good house cleaning company in San Francisco, it’s important to do some research. Cleaning can be overwhelming and time consuming. Families and careers demand a great amount of attention these days, and that doesn’t leave a lot of time for house chores. The benefits of hiring a professional cleaning service are numerous: more time for your spouse, more time for your kids, more time to focus on your career, or more time to simply enjoy your life. So as you begin your research, keep the following tips in mind. Preferably, make sure the house cleaning company uses individuals rather than teams. If an individual cleans your house, there is no pointing the finger when it comes to why an area wasn’t properly cleaned or why an item is missing from your home. A team increases the possibility of items being stolen or misplaced. Also, if a team of several maids cleans your home while you are present, this can seem overwhelming. Attempt to find a find a professional house cleaning service that charges a flat rate rather than by the hour. It is always nice to know what you are agreeing to upfront rather than having an unexpected surprise. Make sure the house cleaning service is insured and bonded. This protects you from theft and accidents which might occur. 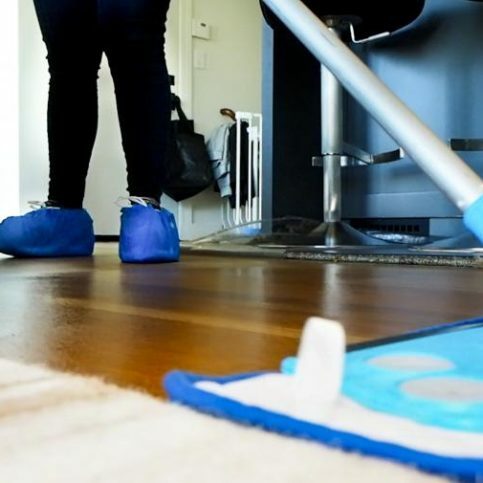 Because cleaning often involves wet floors, maids may slip. If the company you hire is not insured, this can be your liability. Cheaper does not always mean better. As the saying goes, you get what you pay for. If the estimates you are receiving are significantly cheaper than the average quote from reputable home cleaning companies, chances are you shouldn’t hire them. Several factors could be worth considering. The cheaper company may use less than standard equipment and chemical products; they may not be bonded or insured; or it could be a really small company that simply lacks experience and knowledge. Ultimately, lack of experience and certain equipment or products may be damaging to your home. For example, the wrong chemicals may damage wood floors, marble and granite surfaces, or even be hazardous to your pet and children. Your loved ones are not worth the risk. Many persons or Aeoprivate parties’ can clean your home. However, if you hire an individual rather than a professional cleaning company, you are their employer. This means that if they fail to pay proper taxes, you could end up being liable. Also, if someone comes into your home to work for you and is injured, you could be liable. You avoid all of these risks by hiring a professional cleaning service. Furthermore, a professional cleaning company will offer training for their employees. All of the risk and liability is no longer your responsibility as the customer. Reflect on the house cleaning company’s customer service. Can you always contact someone during working hours? Are your phone calls or emails promptly returned? The cleaning products that are used should be environmentally friendly and safe for your children, pets and home. A large number of cleaning products sold in stores today contain toxic chemicals that are dangerous for children and pets. Look for products labeled “eco-friendly”, “green cleaning”, “environmentally friendly”, “green certified”, etc. Make sure that you are able to communicate well with the house cleaning company. Usually, bad performances are due to misunderstandings or lack of communication. In order to avoid this, * be sure that both of you are able to clearly understand each other. Make sure that the house cleaning service provides their own equipment and supplies. It is important to find a cleaning service that is equipped in all areas. This is one less thing for you to worry about. Make sure the house cleaning company offers a satisfaction guarantee. This does not mean a refund of your money. This does mean that any problems you may have will be addressed in a timely manner. You should have assurance that if the maid has a bad day, the company will make it right. Why Trust Diamond Certified House Cleaning Companies Rated Highest in Quality? A professional housekeeper cleaning a kitchen. The following agencies and associations can provide additional information about local house cleaning services and international standards in housekeeping services. Once you are ready to hire a house cleaning service, it is important to know what you want. Unfortunately, many cleaning companies are less than professional and do not meet the standard of house cleaning required. Use the questions below to help you determine what you really want from a house cleaning service and you are almost guaranteed to find the most reliable and trustworthy house cleaning company. The benefits will be well-worth it! 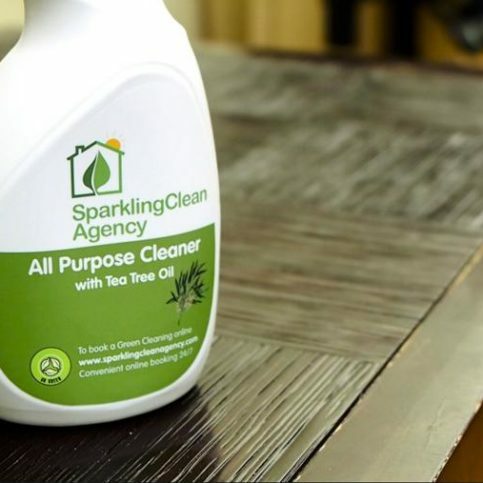 Do I want a house cleaning company that uses environmentally friendly cleaning supplies? Do I want a maid service that provides its own cleaning supplies and equipment? Do I want a reputable domestic cleaning company that is fully insured and bonded? What areas of my house do I want the San Francisco maid services to clean? How long will it take to complete the house cleaning services that I am requesting? What contact information do you have on file for me? What do you need in order to reach me with updates about my house cleaning services? Do you charge a flat rate or by the hour for your house cleaning services? Do you use individuals or teams for the house cleaning service? It’s best to choose a Diamond Certified house cleaning company because all certified companies have passed an in-depthratings process that most other companies can’t pass. If you want quality from a house cleaning company in San Francisco and the greater Bay Area, including the major neighborhoods of Sunset District, Richmond District, Mission District, Tenderloin, Bernal Heights, Excelsior, Pacific Heights, Nob Hill, North Beach, and Bayview District, you can have confidence choosing a Diamond Certified company. Diamond Certified reports are available online for all certified companies. And you’ll never be fooled by fake reviews. That’s because all research is performed in live telephone interviews of actual customers. What house cleaning services did _(house cleaning company name_) do for you? Did the house cleaning company listen to and communicate with you? Do you feel the price was fair for the house cleaning services you had done? What did you like best about this particular San Francisco house cleaning company? 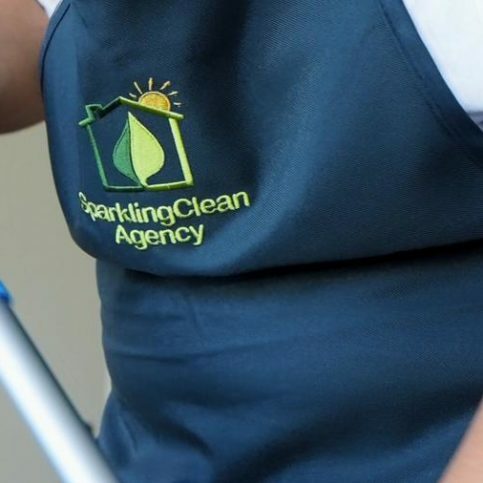 Were you satisfied with the house cleaning services from this San Francisco house cleaning company? Would you go back to this house cleaning company for future house cleaning services? Would you/have you recommend this house cleaning company? Your selection of a house cleaning company is an important concern. More expensive companies do not necessarily offer better value. On the same token, cheaper companies may not provide the service that you want. It’s important to understand that every cleaning service will perform the house cleaning a little differently. Some will be able to customize their approach to your needs a little better. Ask for a specific cleaning checklist of exactly what your house cleaning will include. Also, be sure to ask whether all of the tasks will be performed with each cleaning service, or is certain tasks will be rotated. Before making a final decision on the best house cleaning company in San Francisco for you, it’s good to consider the following questions. What does the house cleaning company offer that is specific to my needs? Can a house cleaning company in San Francisco provide your requirements for scheduling, house cleaning and customer service? Is the house cleaning company devoted to your satisfaction? Is the house cleaning company bonded and insured? What are the billing practices of the house cleaning company? San Francisco house cleaning companies you trust for regular domestic cleaning or one-time only house cleaning services should give you peace of mind and the freedom to spend your time with family, on your career or simply doing things you enjoy other than household chores. First of all, you will want to meet with the house cleaning company representative and explain the services you are wanting. Be as thorough as possible, and remember: the representative should never rush you. It’s important to answer their questions and listen to their suggestions and observations, just as it’s important for them to listen to you and answer your questions. Ask for an explanation if you don’t understand what the house cleaning representative is telling you or if they are using language and terms you can’t understand. You should completely comprehend the services offered, policies, fees and guarantees before you sign an agreement or leave the shop. It’s the house cleaning company’s job to provide quality house cleaning services using the best cleaning products and supplies. But you play a big part in the success of your house cleaning company, too. Be clear and upfront with the house cleaning company. Let them know what you want from the maids that will clean your home, the long-term outcome you’re expecting and specific ways your expectations can be satisfied. Be sure your service representative has a phone number where they can reach you at all times. The work will move along more smoothly if your house cleaning company can reach you for any necessary updates, questions or changes in scheduling. Before you hire a house cleaning company in San Francisco, restate your expectations and goals, and reiterate to the house cleaning company’s representative your understanding of the agreement. Most problems with local house cleaning companies occur because of a breakdown in communication. By being clear about your expectations and theirs, you can avoid most conflicts. When your San Francisco house cleaning service contacts you, return calls promptly to keep the house cleaning service on schedule. Pay for the house cleaning service promptly. When a job is well-done, don’t be afraid to offer praise. When the house cleaning company is cleaning your home, stay out of their way and let them get the job done. Why would you want to be a good customer? House cleaning companies in San Francisco appreciate customers who are straightforward, honest and easy to work with. Your good customer behavior sets the tone from your end and creates an environment conducive to a good relationship. Things may very well go smoother and any problems may be more easily resolved. When you are satisfied with the information your San Francisco house cleaning company has given you and all of your questions are answered, sign the service agreement. The house cleaning company must get your approval for any additional house cleaning services or costs, so verify that the cleaning company has a working phone number where they can reach you at all times. Having your home cleaned by a residential cleaning service is very personal. An important part of your satisfaction will be building a relationship with the house cleaning service. Communicate with them openly and honestly about your expectations from their home cleaning services. Call them with feedback on your level of satisfaction with the service provided. Listen to the advice that your maid service gives you on how to maintain your home. Show your appreciation to your house cleaning service provider by leaving a nice note or even a gratuity. Your thanks will encourage their good performance. House cleaning companies in San Francisco, including the major neighborhoods of Sunset District, Richmond District, Mission District, Tenderloin, Bernal Heights, Excelsior, Pacific Heights, Nob Hill, North Beach, and Bayview District, provide all types of house cleaning services. However, some services are more common than others. The following are the most common requests for local house cleaning companies. The cleaning services provided for the bathrooms include dusting baseboards and light fixtures, cleaning/disinfecting the sink, tub and shower, cleaning/disinfecting the toilet inside and out, cleaning mirrors, wiping the face of cabinets, shaking out throw rugs, removing trash and dust mopping/wet mopping floors. Cleaning services are provided for general areas. These services include dusting everything by lifting items rather than sliding them, dusting woodwork (baseboard and window sills included), vacuuming all carpeted areas, removing trash and dusting/polishing furniture. For an additional charge, the linens on the beds may be changed. Typically a house cleaning company will complete a mixture of cleaning services in the kitchen/breakfast area. These services usually include checking for cobwebs, disinfecting table and dust chairs, dusting light fixtures and baseboards, cleaning/disinfecting counters, cleaning canisters and small appliances, scouring the sing and polishing chrome, cleaning the face of the refrigerator and dusting the top, cleaning and polishing the stove top and oven, cleaning the inside and outside of the microwave, spot cleaning cabinet fronts, removing trash, and dust mopping/vacuuming/wet mopping floors. Laundry rooms are cleaned by the house cleaning team. These services include cleaning and wiping the tops of the washer and dryer (if accessible), removing trash, and dust mopping/wet mopping floors. Carpet cleaning is an additional service often offered by house cleaning companies. Typically this serviced is priced on a per room basis. One time cleaning is a service provided by most house cleaning companies. This service refers to a home being cleaned a single time rather than on a routine basis. Most house cleaning companies will clean windows inside and outside for an additional charge. Most house cleaning companies can be hired to clean a house once you have moved out of it. They may also be hired to clean a home before you move into it. These services are typically one-time only services. Spring Cleaning/Fall Cleaning services are additional services provided by most house cleaning companies that are priced individually or by the hour. 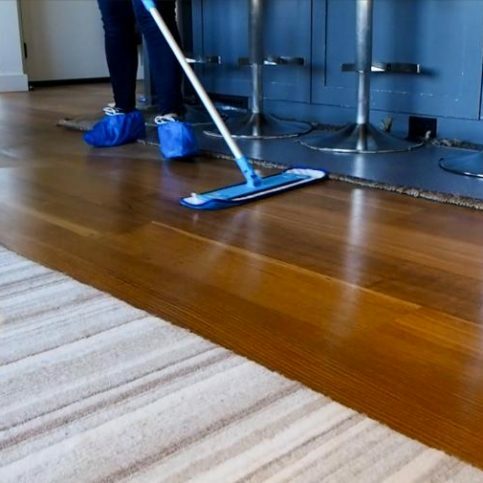 These house cleaning services include washing the woodwork (baseboards, trim and doors), cleaning chandeliers, moving and vacuuming under light furniture, vacuuming the edges of walls/corners, cleaning the oven, cleaning the refrigerator, vacuuming drapes, vacuuming lampshades, cleaning light fixtures, cleaning and conditioning leather furniture, polishing showroom furniture, cleaning and polishing the face of kitchen cabinets and cleaning windows. The service of cleaning a house in preparation for a special occasion is a service provided by most house cleaning companies. These services are usually priced per individual job or by the hour. Below are key house cleaning terms and descriptions used by many residential cleaning services. Residential cleaning services are services provided for individual homes or residences. Commercial cleaning services refer to cleaning or janitorial services provided for commercial companies or businesses. Carpet cleaning is for the purpose of removing stains, dirt, grit, sand and allergens. This can be achieved by either hot water extraction (often known as steam cleaning). Hot water extraction involves using equipment that sprays heated water, sometimes with added cleaning chemicals, on the carpet while simultaneously vacuuming the sprayed water along with any dirt. This is recognized as the most effective carpet cleaning method. Window cleaning services include commercial window cleaning, residential window cleaning, and pressure washing. Floor cleaning services include both carpet cleaning and hard surface floor cleaning. For carpets, most service providers will inspect the carpet to determine the best cleaning method. Spots and stains will be pre-treated; residual stains will be post-treated. Hard surface floor cleaning removes minor scratches and offers processes for sanitation needs. Hard surface floor cleaning often offers dust-free burnishing and enhanced slip resistance care. Maid service is a term that describes a specialized outside service that provides a a specific service to individuals, businesses, clubs, associations and homes. Upholstery cleaning refers to a cleaning system for furniture. Its purpose is to remove cleaning solution residue along with deep-down dirt, leaving nothing behind but fresh-smelling fabric and furniture. Grout cleaning refers to removing the dirty, dingy or stained lines between the tile in the area known as the grout. Grout is porous and, since it’s not common for a grout sealer to be applied, can often become embedded with dirt, cooking oil, grease or detergent residue. Once embedded, it requires professional cleaning to remove. 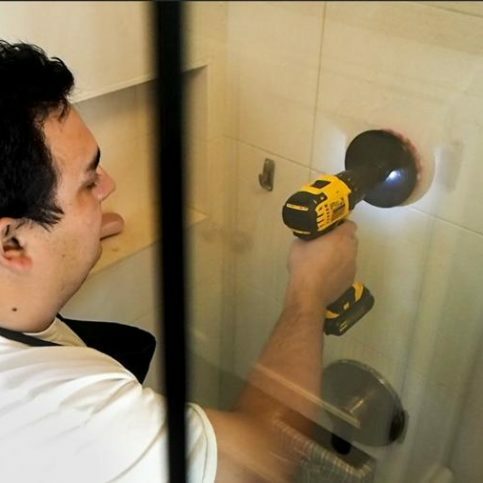 Glass cleaning refers to cleaning any glass surface. This most often includes windows, window sills, mirrors or decorative glass. Kitchen cleaning is part of cooking. 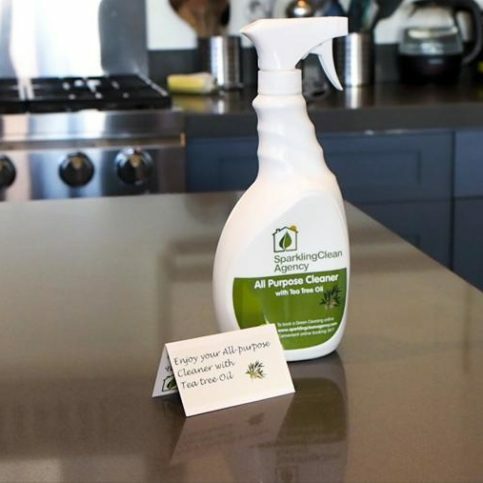 Clean surfaces will keep your family healthier and safer. Easy tips and preventative measures can be learned to keep your kitchen clean and free from clutter. Have a place for everything. Don’t mix ammonia and bleach in order to prevent toxic fumes. Identify places in your kitchen that accumulate clutter and take a few minutes daily to clear these places. A sponge is a great way to spread germs. Try to use paper towels, discarding them after each use. Bathroom cleaning is an important step to a healthy environment. The bathroom should be cleaned weekly, and even more if it gets heavy use. Because porcelain surfaces are stain-resistant, dirt and scum aren’t allowed to build up. The tub or shower should be rinsed immediately after each use, using a damp sponge to lather soap around the surface area and then rinse. Domestic housekeeping services are cleaning services performed within an employer’s or client’s household. It refers to a variety of cleaning services that may include vacuuming, dusting, scrubbing, mopping, etc. Move-out cleaning refers to a cleaning service that is provided after an individual or group of individuals has moved out of a residence or building. 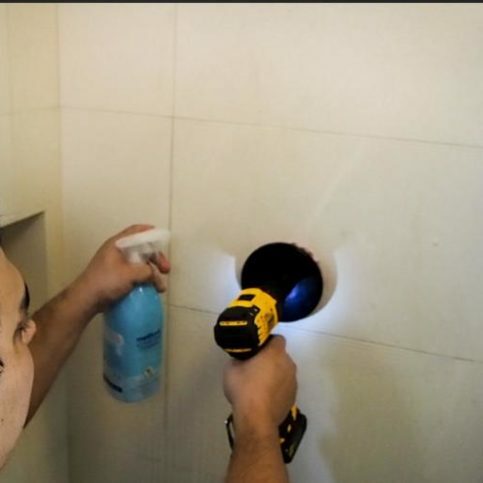 This service often includes walls being washed and marks removed; holes in walls filled with spackle; cobwebs removed; wall and ceiling vents vacuumed or washed; switch plates cleaned; floors in the kitchen and bath areas or any linoleum cleaned; fireplaces cleaned of all debris; drapes vacuumed; blinds cleaned; lightbulbs replaced where needed; light covers removed and cleaned; shelves cleaned. Post-remodeling cleaning refers to the cleaning service provided after a remodeling job is completed. Because remodeling is a messy job, dust will be everywhere and carpets will be dirty. Often walls have smudgy handprints. Post-remodeling cleaning provides the major cleaning your house needs to bring it back to its original shine. Weekly cleaning services are regular services provided by a house cleaning company. These regular services often include wiping down countertops, scrubbing bathroom surface areas, vacuuming, dusting, mopping, etc. House cleaning companies provide cleaning services for apartments. These services are the same services that are provided for a house: wiping down countertops, scrubbing bathroom surface areas, vacuuming, dusting, mopping, etc. Green cleaning services evaluate solutions and equipment to ensure they meet certain standards for safety and effectiveness. Green cleaning services use solutions that are certified by Green Seal or another recognized organization to be free from harmful additives that can cause health problems. 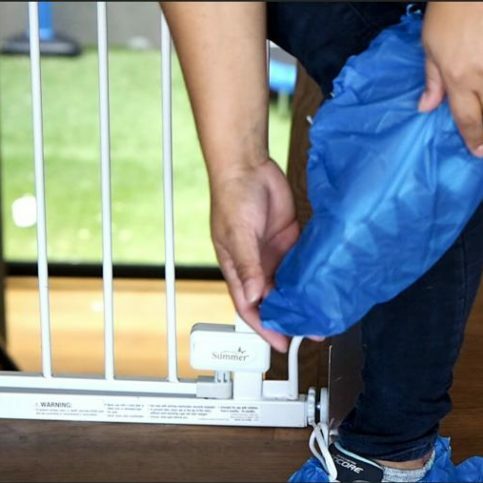 They use “greener” equipment such as vacuums that are recognized for improving indoor air quality. Also, green cleaning services use color-coded microfiber cloths to reduce the need for cleaning solutions, thus minimizing landfill waste and preventing cross contamination from room to room within the house. Home sanitizing services are sanitizing services provided by a house cleaning company. It often includes disinfecting specific areas such as the front door handle, chairs, microwave buttons or toilet handles. Most house cleaning companies clean and disinfect the shower and bathtub during routine cleaning checks. Appliance cleaning refers to cleaning and disinfecting all appliances within the home. This includes any appliances that may be sitting on the kitchen countertops as well as larger appliances such as microwaves and washers and dryers. Microwave cleaning refers to cleaning and disinfecting both the inside and outside of a microwave oven. Dusting is a service provided by most house cleaning companies. It refers to dusting everything such as woodwork, light fixtures, baseboards, and knick knacks. Oven cleaning is a service provided by most house cleaning companies. This is typically a special service that is either priced individually or by the hour. Vacuuming is a cleaning service provided by house cleaning companies that refers to vacuuming all carpeted areas. Emptying trashcans is a cleaning service provided by house cleaning companies that refers to emptying the trashcans throughout the house and placing the trash in an outside trash dispenser. Making beds is a cleaning service provided by house cleaning companies. Usually this service is done at an additional charge. Baseboard dusting is a cleaning service provided by house cleaning companies. It refers to dusting the baseboards, or skirting, floor molding, or mopboard, that covers the lowest part of an interior wall. Mirror cleaning is a regular cleaning service provided by house cleaning companies. Dishwasher loading refers to loading a dishwasher with dirty dishes on the counter or in the kitchen sink. Q: Why choose a Diamond Certified house cleaning company? A: Diamond Certified helps you choose a house cleaning company with confidence by offering a list of top-rated local companies who have passed the country’s most in-depth rating process. Only house cleaning company rated Highest in Quality earn the prestigious Diamond Certified award. Most companies can’t pass the ratings. American Ratings Corporation also monitors every Diamond Certified company with ongoing research and ratings. And your service is backed by the Diamond Certified Performance Guarantee. So you’ll feel confident choosing a Diamond Certified house cleaning company. Q: How much does a house cleaning service cost? A: Every house is unique and most house cleaning companies’ fees are individually based. Things that will affect your house cleaning estimate include the size of your home, number of bathrooms, number of residents, number of pets, how you want the maids to clean, etc. Most house cleaning companies have a standardized formula for calculating each individual cleaning estimate in a uniform way. Q: Will all house cleaning visits cost the same amount? A: The first house cleaning visit usually costs more than subsequent visits. Generally, it takes additional cleaning tasks for the maids to get the home up to company standards. The first house cleaning visit is often performed on an hourly basis. An estimate for this house cleaning service visit may be expressed as a cost range. If more time is needed in the event your maid services team considers it necessary, the company should contact you for authorization. Once the initial visit has occurred, your home’s cleanliness can be easily maintained with regular visit cleaning tasks. Regular house cleaning visits are often charged as a flat fee. You should receive an estimate for both the initial cleaning and the regular house cleaning visits up front. Once the initial house cleaning has been completed, your regular house cleaning price should be confirmed. Q: Do I have to be home when the cleaning service comes? A: Most house cleaning service companies let this be your option. You may give them a key that will be safely stored, often in a client key safe. Maids are often given the keys for each house cleaning appointment before they leave each day and must return them back to management before they leave the office each evening. The key remains in the key safe until your next house cleaning appointment. Q: Do you guarantee a day and time for a house cleaning appointment? A: Most house cleaning service companies guarantee a specific day for your house cleaning but not a specific time. The schedule is often flexible and ever-changeable which makes it difficult to commit to a specific time for the maids to arrive. However, an estimate can usually be given on the day of service. If you need a specific time guarantee, discuss this with your house cleaning company and so that you are able to reach a mutually agreeable solution. Q: What if I need to reschedule a house cleaning? A: Check with your house cleaning company to see what their policy is for rescheduling an appointment. Most service offices require a minimum 48 hours notice to reschedule a cleaning appointment; however, this varies from company to company. Oftentimes, if a house cleaning needs to rescheduled without proper notice, there is not enough opportunity to fill the schedule with another client. This decreases the maids’ pay. Without consistent wages, the best maids cannot be retained; thus, respecting the house cleaning company’s procedure for reschedules helps ensure you will get the best house cleaning service possible. All house cleaning companies have a cancellation policy. Be sure you understand your local company’s procedures as some will charge a cancellation fee. Understanding the policy will help you avoid incurring these fees. Q: What if I accidentally lock the maids out on my cleaning day? A: Most clients provide a key or hide one on the premises on house cleaning day. However, if you forget to leave a key on the day you are scheduled to have your house cleaned, many house cleaning companies will charge a lock-out fee. Please be sure you understand your local company’s lock-out policies in order to avoid incurring these additional fees. Q: What should I do about my security/alarm system on house cleaning day? A: If you have a security system, please make necessary arrangements to give your maid access to your home on your scheduled day. Some clients establish a guest or temporary code for the house cleaning service or maids. Q: What should I do with my pets during the house cleaning? A: Please advise the house cleaning company if you have pets and provide any information regarding your pets that would be helpful for them to know. Though different house cleaning companies have different requirements, many prefer pets to be restricted from the areas that are cleaned so that the maids can clean your home better and more efficiently. Q: Are my valuables safe? A: If you have any special valuables, heirlooms or irreplaceable items, please put them away or instruct the house cleaning company that you do not want these items touched. A closed door or drawer is often a signal to the maids that you do not want them to clean that area. 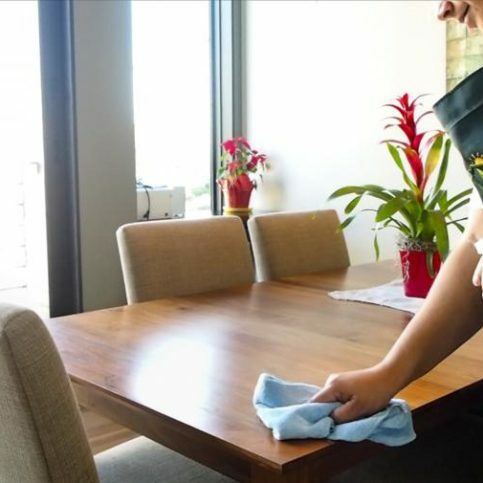 Check with your house cleaning company to make sure that the maids are covered by all necessary insurances in the event that any damage occurs. Q: How should I pay for my house cleaning? A: Most house cleaning companies accept payment by cash, check or credit card. Payment is usually due at the time of service. Most house cleaning service companies prefer that you either leave cash or a check on the kitchen counter the morning of your house cleaning. Most companies will keep your credit card information on file in the local office and charge your card once each house cleaning is completed. Also, most companies will charge a fee for all returned checks. Q: How do I know I can trust the maids? A: Check with the house cleaning company you have selected to make sure that they screen their maids carefully, train meticulously, inspect relentlessly and insure adequately in order to have the highest confidence that their maids can be entrusted with the care of your home. Q: Do I need to provide house cleaning products or equipment? A: Most house cleaning companies provide all house cleaning products so you never need to worry about replenishing your supply for the maids. If you have special house cleaning products you want the maids to use, be sure to discuss this with your local office owner or manager in advance so that the maids can be properly instructed. Q: What is mildew and how can I get rid of it? A: A parasitic fungus, mildew requires moisture, warmth and a food source to exist. It reproduces itself by growing microscopic spores in huge quantities. These spores are always present in the air and spread by normal air currents. A spore lies dormant until favorable moisture and temperature conditions occur for it to germinate. Mildew thrives in warm, moist areas that have weak air circulation. In the average household, mildew is often found in the bathrooms. The corners, cracks and crevices of the tub, shower, sink and toilet are the most common areas affected. It ranges in color from a pinkish-orange to black. Q: Will my house cleaning company be able to impede the growth of mildew? A: Most house cleaning service companies will be able to impede the growth of mildew by removing the built up food sources that it lives on such as soap, skin, hair, etc. However, as long as moisture and warmth are present, the spores will germinate immediately and mildew will again be growing on the host area. In order to stop the growth of mildew, the area must be kept dry or it must be chemically treated to make it a less than desirable environment for the spore to germinate. Chlorine bleach is a good sanitizer to use on an infected area. It is recommended that chlorine bleach be diluted up to 50% with water to reduce the pungent odor. Apply the solution by lightly spraying, wiping or sponging on. It is not necessary to saturate the area or to treat uninfected areas. Leave the bleach in contact with the surface area for at least an hour. Rinse any area that you will touch in later use. Repeat this application bi-weekly or when mildew reappears. Due to insurance restrictions, most house cleaning companies are not permitted to use chlorine bleach. Furthermore, chlorine bleach is not a part of a Green Clean Certified program because of its toxic nature. However, you may choose to use bleach independently to help control mildew growth between cleaning service visits. Please do not use bleach for two days preceding a scheduled house cleaning because a chlorine reside could combine with the other cleaning solutions used and cause the formation of a toxic gas. Also, you will want to ventilate the treated area well to clear away harmful vapors quickly. Mildew is an on-going maintenance challenge. However, by working together with your house cleaning company, it can be controlled.